Once you have chosen the design of your portfolio and you have created the projects you want to share, it is time to create the additional pages. These elements are made for including information like contact, access to a blog or any other data you consider interesting. For starting a new page, press new page. The New page screen is very similar to the new project one. Title and description fields are the same. Then, a contact form can be added in case you want the audience to reach you personally. 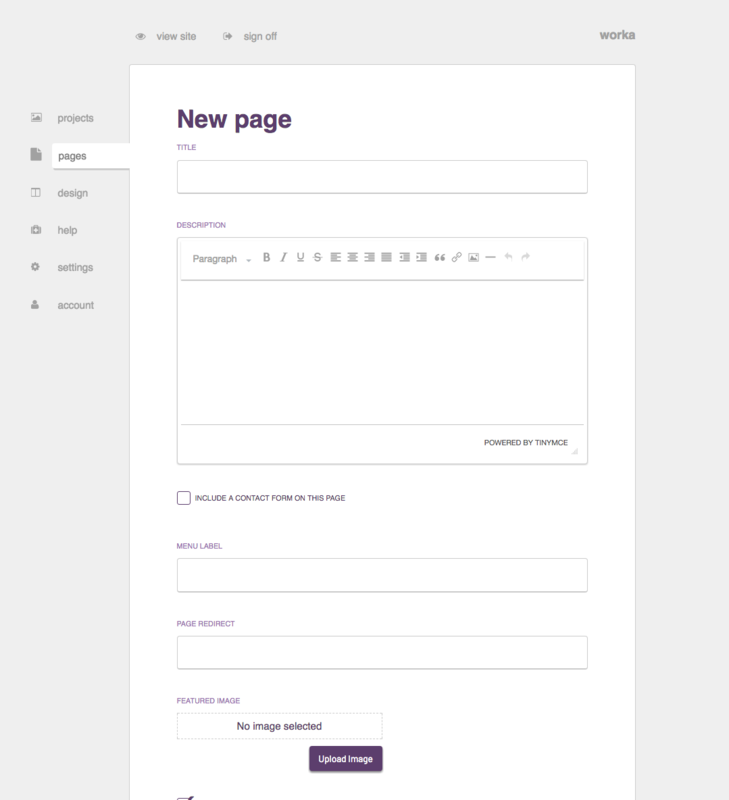 The Menu Labelbox is key as it is the text that will be shown in the portfolio’s menu representing the page. In case no text is included, the title will be shown instead. Lastly, an URL can be added to the page redirect box so the audience can be redirected to any social media, blog or page related to your portfolio. As with the projects, checking the visible for everyone box will allow your page to come out of darkness and be seen in your Worka’s portfolio.